Prezto is a set of configurations for your ZSH shell. Prezto is simple and easy to expand to add new functionalities and features. This project did not receive updates for a long time but was retaken thanks to the help of other users on Github. 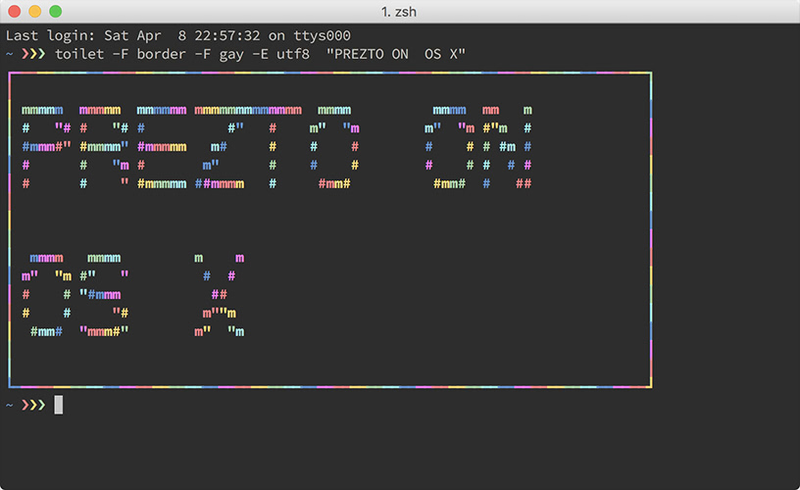 We are going to install Prezto in this path: /etc/zsh/prezto to do this we need to have ZSH installed previously, you can follow my guide How to install ZSH on OS X using homebrew. On OS X the ZSH configuration files are on the /etc directory so we need create these files: /etc/zlogin, /etc/zlogout, /etc/zshenv and modify /etc/zshrc, /etc/zprofile. Finally you can open a new session in your terminal and start using Prezto.